Things get very hectic when you are getting ready for a vacation or business trip and sometimes you simply just forget to do the small things that could be big things when you leave. 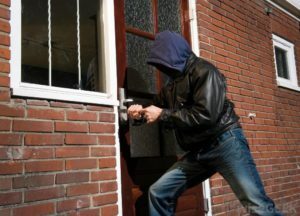 Your home is more than likely your biggest investment therefore we have provided some Tips to Protect Your Property While On Vacation. The FBI, Federal Bureau of Investigation has estimated that our law enforcement agencies are showing an over increase of 5.3 percent in the number of violent crimes brought to their attention for the first 6 months of 2016 when compared with figures reported for the same time in 2015. That is pretty scary. That is why we are helping with how to protect your property while on vacation. Of course thieves use Facebook and Twitter!! They track when people are out by looking at their “family photo’s” or when you “check into a place”. So for example if you go to Athens, Ga and then check into The Varsity, the bad guys know that you and the family are obviously in Athens, Ga at The Varsity. Make sure to check your Privacy Settings on your Facebook Page and make sure that you are only allowing your Friends to view your posts. If you mailbox is right outside your front door (attached to your home) or the mailbox is near the curb, this is a must. Yes, it is a drag to have to do this – however in the long run it will keep thieves from seeing a overflowing and full mailbox. You can make this easy and if your local postal system allows, you can put a hold on your mail online. Yes, even if it’s hidden Burglars will find it and use it! Honestly, this is a must even if you are at home. It will give you peace of mind and security whether you are gone or at home. The prices of a home security system are not going to break you. Invest in this right now! In our next blog post we will continue with Tips to Protect Your Property While On Vacation. Stay tuned!